The number of bus passengers has increased by 20 per cent since the introduction of the tallinja card system a year ago, according to Malta Public Transport general manager Konrad Pulé. Complaints have been reduced by more than half. Mr Pulé told The Sunday Times of Malta that since the company took over the service in January last year, there had been a steady growth in patronage levels. “Passenger numbers continue to increase with more than 22 million passengers using our buses so far this year, representing a 16 per cent increase in the first six months of 2016 when compared to last year,” he said. Though these figures are normally made public in the annual report of the transport regulator, they were conspicuously absent in the recently published 2015 review. While neither the Transport Ministry nor the regulator were forthcoming when asked for the usage statistics, this newspaper managed to obtain the data from the operator itself. Mr Pulé noted that the success was enjoyed on the back of the seven per cent overall increase registered in 2015 over the previous year. However, he pointed out that prior to the introduction of the new fare structure in July, patronage levels were based on estimates rather than actual figures. This was due to the fact that no record was kept of the number of trips made using the same-day ticket. Consequently, the 20 per cent rise registered between July last year and this month gives a more reliable snapshot. “This is first time we are able to compare passenger numbers with a high level of accuracy, as we now have a full year of information since the launch of our tallinja card system,” he said. Over half of the vehicles inspected during random road checks conducted by the transport regulator last year did not meet the minimum roadworthiness standards. Comparisons with the overall usage levels for last year had to be treated with a degree of caution due to the change in the ticketing system in the middle of the year. “However, we know that we carried at least 40 million passengers in 2015, representing an increase of around seven per cent over 2014,” he added. The MPT general manager said the company would continue to beef up its service according to user feedback. 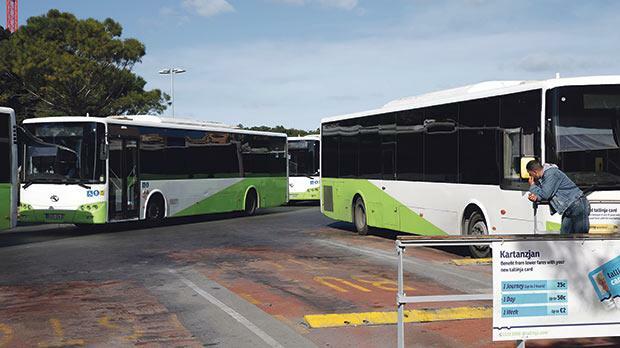 In recent days 33 new buses were added to the fleet to address persistent shortcomings in the service around tourist areas like Sliema, St Paul’s Bay, Buġibba, Mellieħa and the Gozo ferry. Though there is still room for improvement, initial feedback from commuters, who have long been complaining that the service in these localities was not up to scratch, was positive. A total of 7,764 tickets were issued by TM for various contraventions (an increase of 162 per cent over 2014) primarily related to parking, mobile phone use, poorly maintained vehicles and expired licences. Enforcement notices to contractors for not abiding by the law and road works regu­lations increased by three times as much and totalled 98. 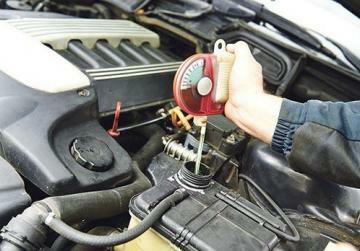 Newly registered vehicles increased by 11 per cent, reaching 21,474. Scrapped vehicles amounted to 7,176, which was a 56 per cent rise. New driving licences and renewals were down by one and 16 per cent, respectively. Last year, Maltese-registered merchant ships reached 7,249 in number, for a total gross tonnage of 66.2 million, and thus remained Europe’s largest register. In the superyacht sector, there was an 11 per cent increase of vessels over 24 metres in length, while there are now more than 500 super yachts flying the Maltese flag. A total of 324 cruise liners, with 678,270 passengers on board, visited the islands. Eighteen of ships visited Gozo, for an increase of 31 per cent in visitors. At the end of 2015 the number of aircraft in Malta’s register was 213, of which 61 were new entries that consisted mainly of business jets. Twenty-four new bus routes were introduced and 43 existing ones modified, thus increasing daily trips by an average 400. Average route reliability and punctuality were both 93 per cent.